Christie, who chairs the Republican Governors Association, is in the state campaigning for GOP gubernatorial nominee Bob Beauprez, who’s challenging incumbent Democratic Gov. John Hickenlooper. 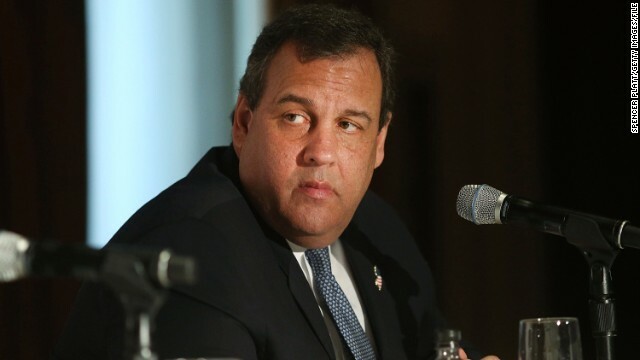 While medical marijuana is legal and highly regulated in New Jersey, Christie has repeatedly said he will not support legalizing the recreational use of pot, often warning that he doesn’t want his state to end up like Colorado. “It's just not the quality of life we want to have here in the state of New Jersey,” he said in an April radio interview, spurring a wave of headlines. Six months after marijuana has been legal in the state, a majority of Colorado voters support the new pot laws, 54%-43%, according to a recent Quinnipiac Poll. Two-thirds say they don’t want people using pot in bars and clubs, but about the same amount say it’s OK to use it at home or in members-only venues. Moreover, 51% of Colorado voters say they’ve tried marijuana, but only 16% say they've tried it since it became legal at the beginning of this year, according to the survey. And I think letting government try to control what people ingest, inject, or inhale into their own bodies is "the wrong thing to do from a societal perspective." It's none of Christie's bloody business. Anyone thats thinks smoking weed and drinking a 5th a day is healthy and whatever go.s? Would you tell your girl or boy they can waste their cash on it an its alrite ? This is not the 70.s where we had a t.v. antennas and box fans ? Times are much diff and the economy is not the conducive to that time as of yet we are behind in many ways folks . We have slipped behind on many things on what some said the progress was going to fix . It cost cash to live and its n0t the gov place to pay for luxury to all . New Jersey makes millions a year on their marijuana arrest racket. I will never set foot in that armpit of America ever again. Christie could learn something from Colorado with regards to generating revenue. Instead of punishing the working families in New Jersey with his bizarre swindles and corruption. Make pot legal and tax it. If there was serious scientific research to show how well it works as a medicine, then I would have little problem with it. As for recreational uses, I don't know that I would advocate that at all. Christie, and most republicans, as well as most politicians of all kinds, feel it is the right thing to do to make criminals of marijuana users. Rather than ask whether to legalize it or not, the question should be: Why has the government made it illegal? Shouldn't a free country avoid making criminals of its citizens unless there is an obvious need to do so? Chris Christie is truly a dinosaur . He used to lobby for Bernie" Madoff before Bernie went to prison . Christie will never be president. He just sealed it. Now isn't that just a hoot, I'm pretty sure people in Colorado are capable of figuring out for themselves what they want, its a neat thing called Democracy, something you struggle to find in Republican controlled states, just saying. Gosh, I don't know about the rest of you, but I'd take Colorado over the n.y. sewer system any day, pot or no. Sure he'll talk about the pot issue but wasn't man enough to face the Newtown families. What a phony, but you have to give it to him, even with his state doing so poorly, he has a lot of people fooled. They voted for him and will again.